February 24, 2019 • CATEGORIES: VEEP (VW Jeep), Scamp, Others • TAGS: Electric-Jeep. 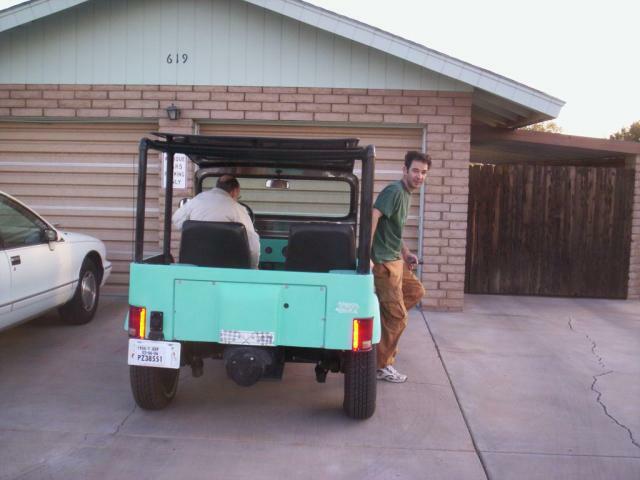 (11/18/2018) TJ shared this unusual electric-powered Jeep-like VW. March 2, 2018 • CATEGORIES: Features • TAGS: Electric-Jeep. This is an interesting strategy by MD Juan. I guess I need to fly to the Philippines and try it! 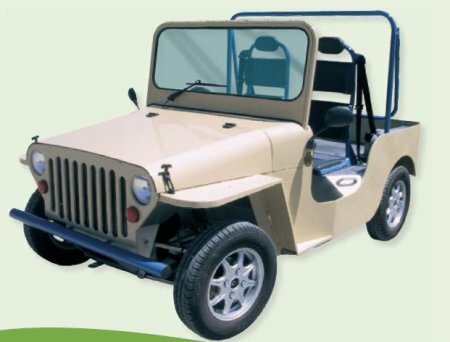 “The PhUV or Philippine Utility Vehicle Inc., the pioneer manufacturer and assembler of electric vehicles in the country, has joined forces with MD Juan Enterprises, the pioneer and leading Jeep® restoration parts manufacturer and exporter, in promoting an environment-friendly Electric Jeep. 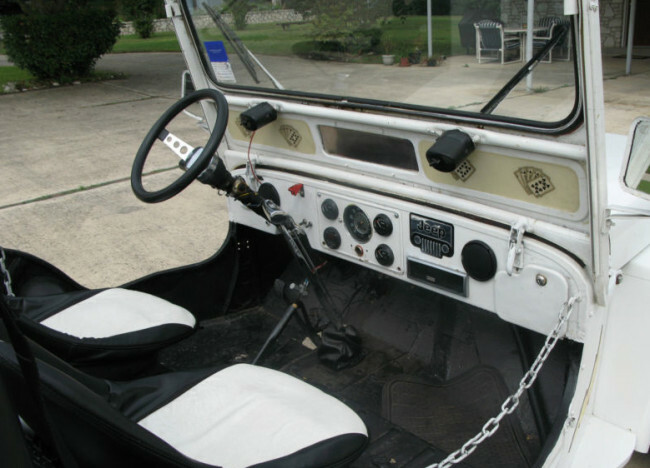 The result is a perfect union of “the past and the future” concepts, the classic and the modern, merging both craftsmanships to create this integrated Electric Jeep prototype. 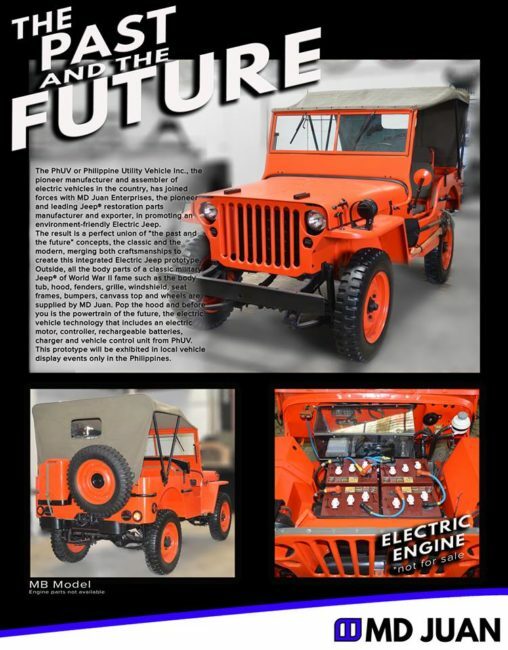 February 20, 2018 • CATEGORIES: Features • TAGS: Electric-Jeep. UPDATE: The seller stopped the auction. It may have sold locally. 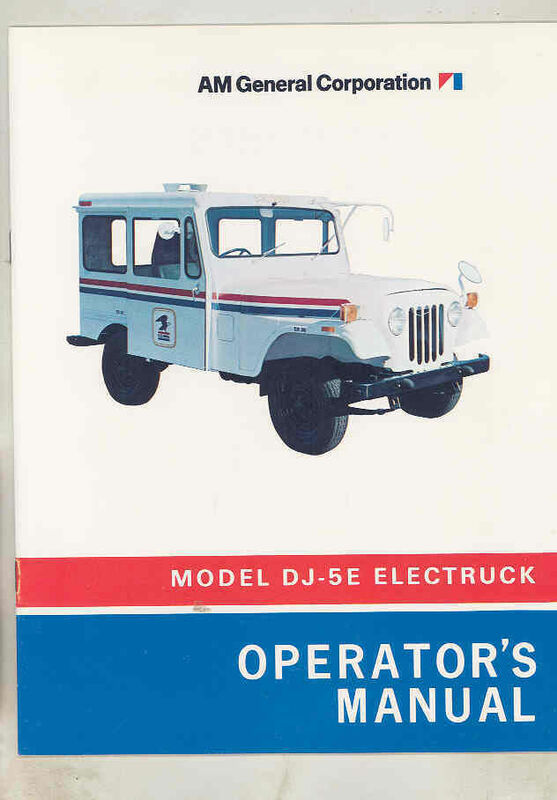 Not many of these Electruck DJ-5E jeeps around. Seller indicates it is only 1 of 352. There are also two different brochures available on eBay for them. Brochure 1 and Brochure 2 . Thanks to Ted for spotting this one. “I will post better pictures. I am having trouble figuring how to do it. This is a one of a kind right hand drive electric jeep. 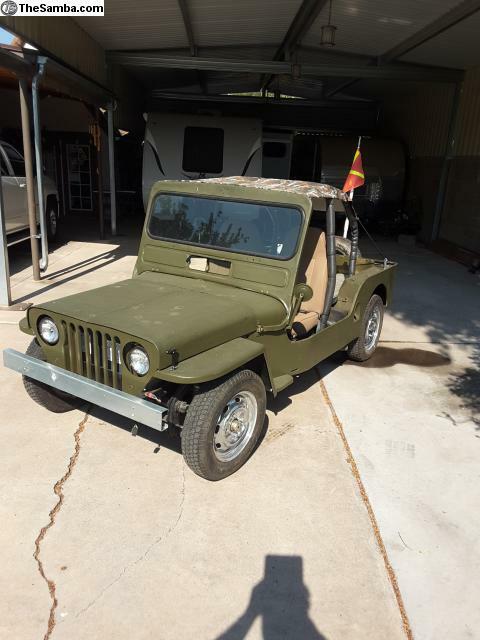 I bought this in 2011 and just “put it back” with my other collection of postal jeeps. It is now coming up for sale as I need room. It is showroom perfect, just drop in some new batteries. 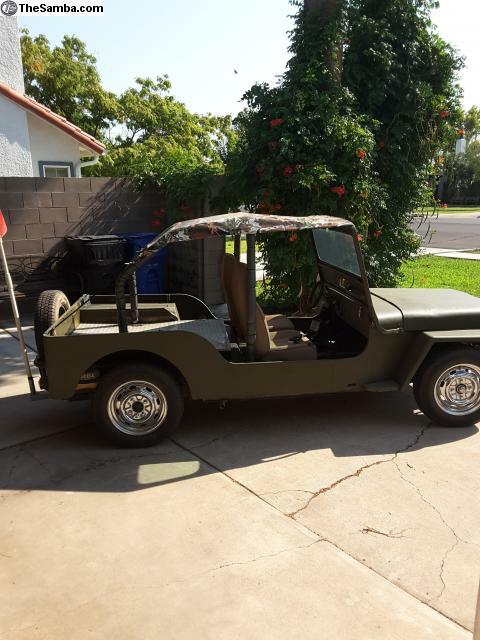 August 3, 2015 • CATEGORIES: CJ5 • TAGS: Electric-Jeep. 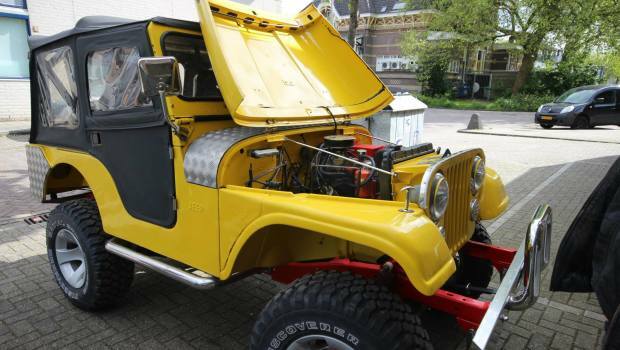 The article doesn’t specify where, but it appears this jeep is in Europe somewhere. Thanks to Alex for spotting it! 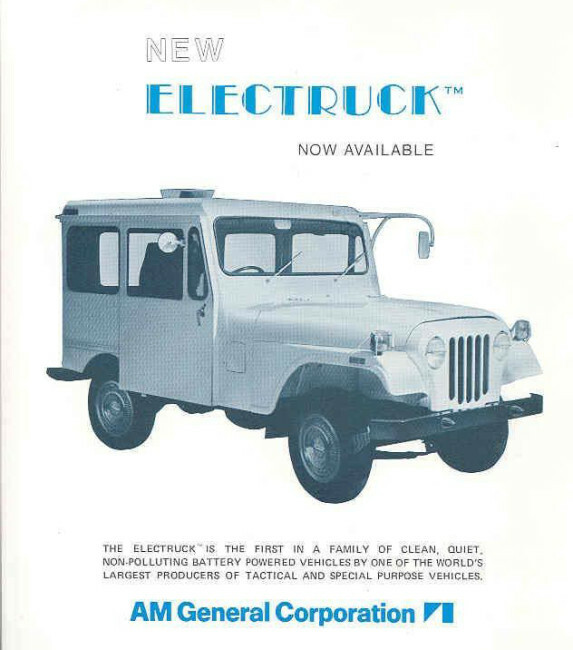 March 12, 2015 • CATEGORIES: Advertising & Brochures, DJ-5 & DJ-6 • TAGS: Electric-Jeep. 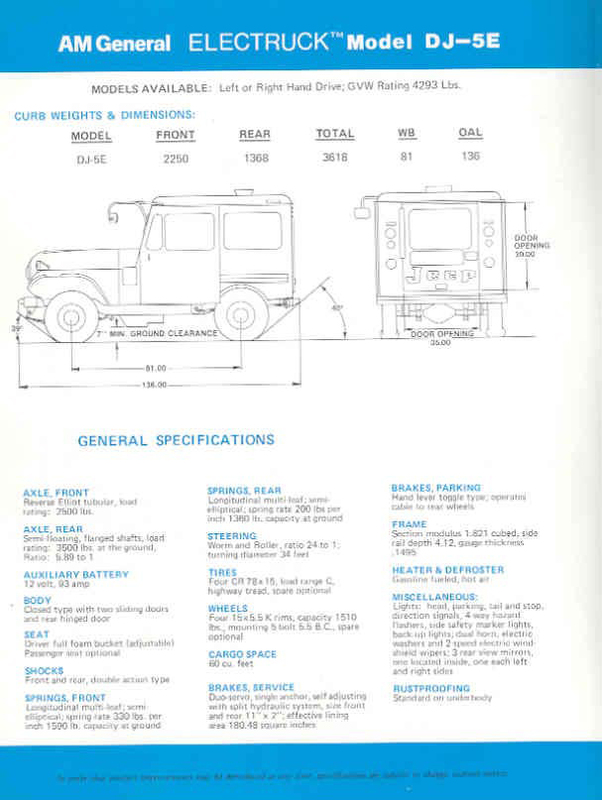 Here’s another version of the Electruck brochure. 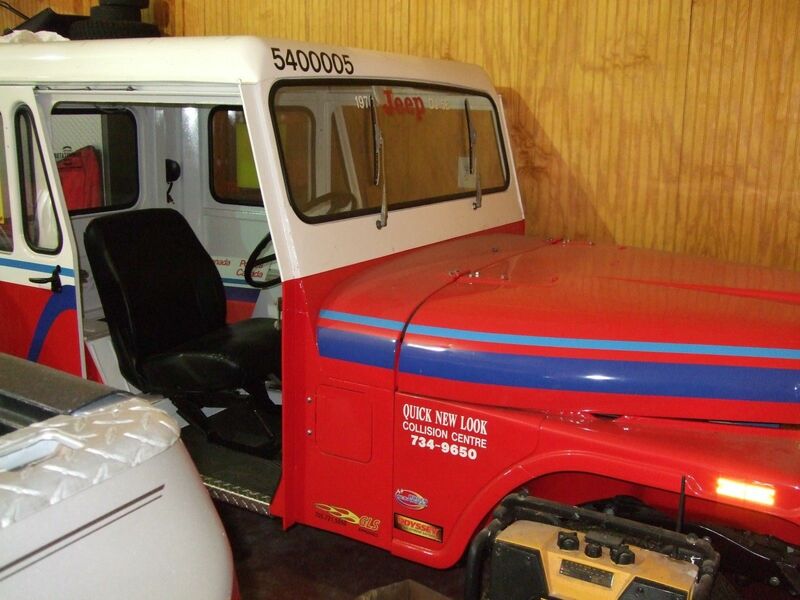 This Electruck was restored in 2008. 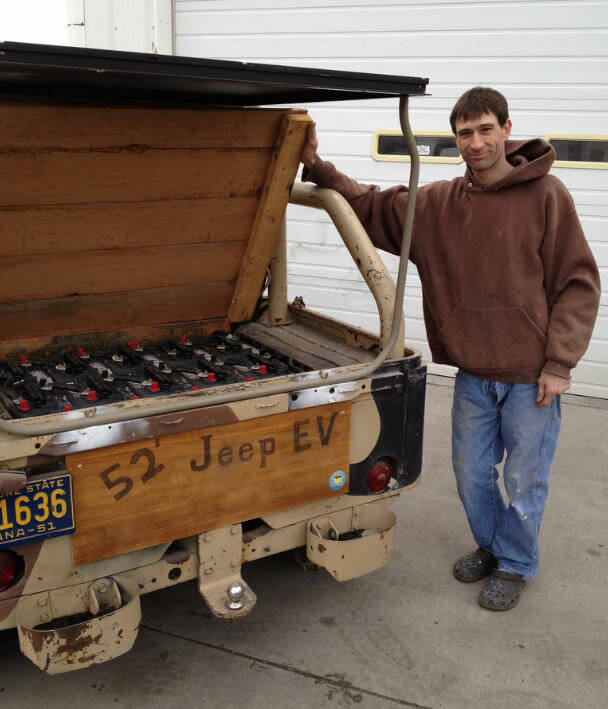 March 12, 2015 • CATEGORIES: DJ-5 & DJ-6 • TAGS: Electric-Jeep. 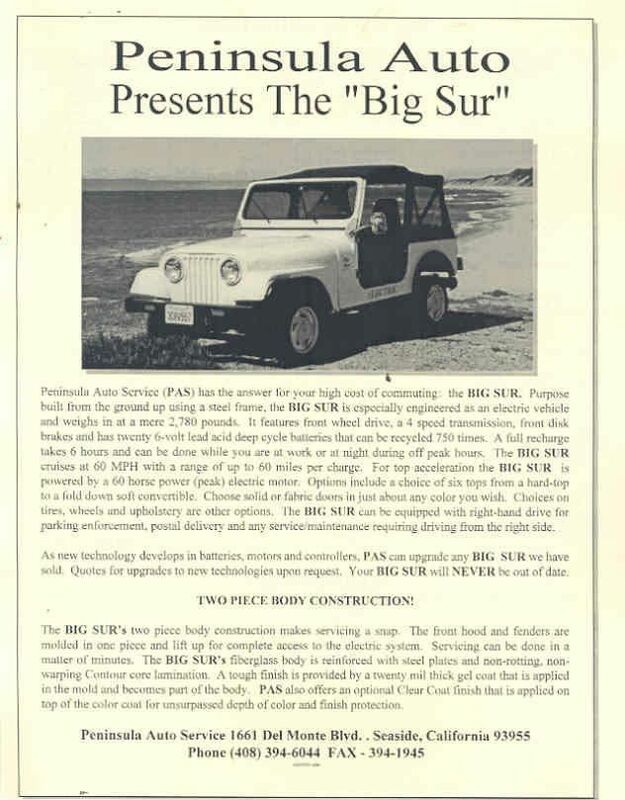 Anyone ever see a working Big Sur Jeep? I’ve never run across one for sale. 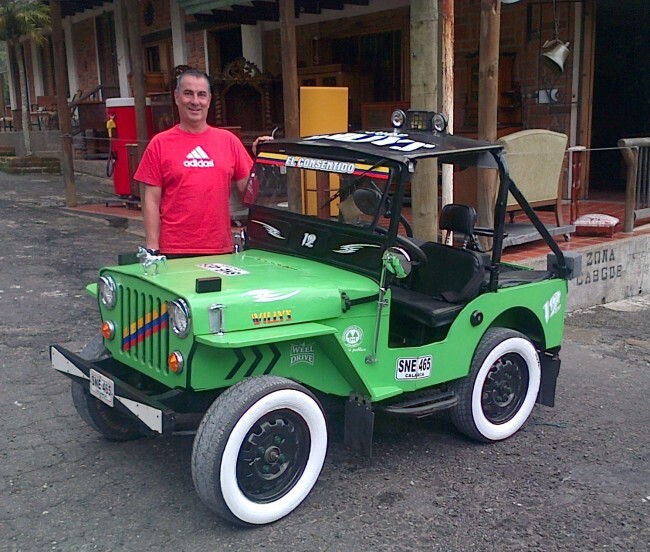 August 9, 2014 • CATEGORIES: Advertising & Brochures, DJ-5 & DJ-6, Features • TAGS: Electric-Jeep. 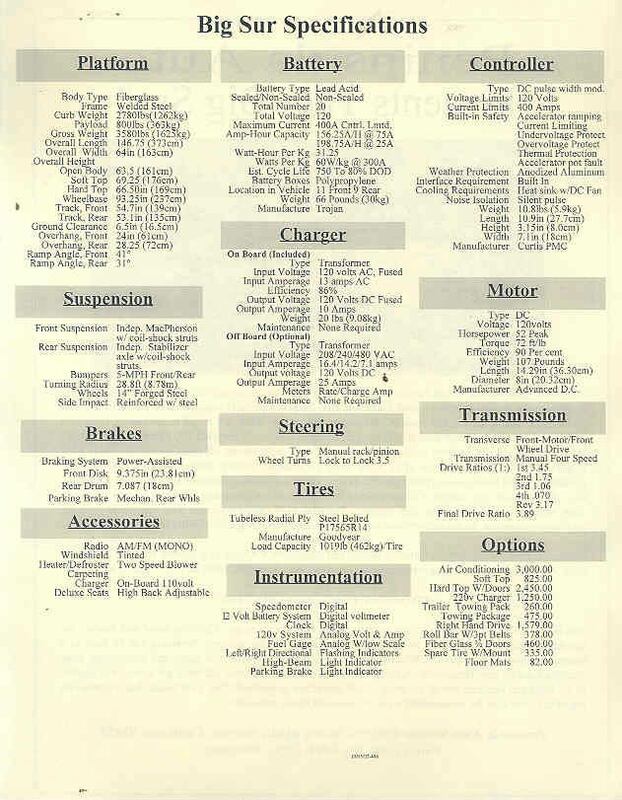 Below that is a brochure for the same vehicle that sold a few years ago. 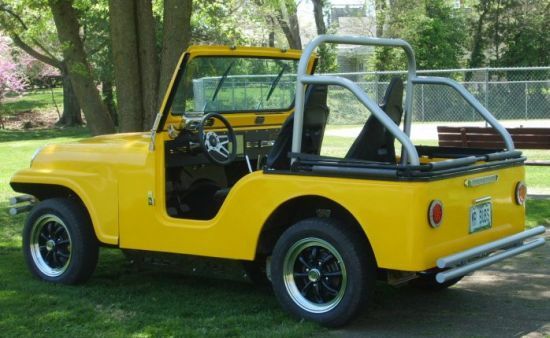 June 6, 2014 • CATEGORIES: CJ5, Features • TAGS: Electric-Jeep. 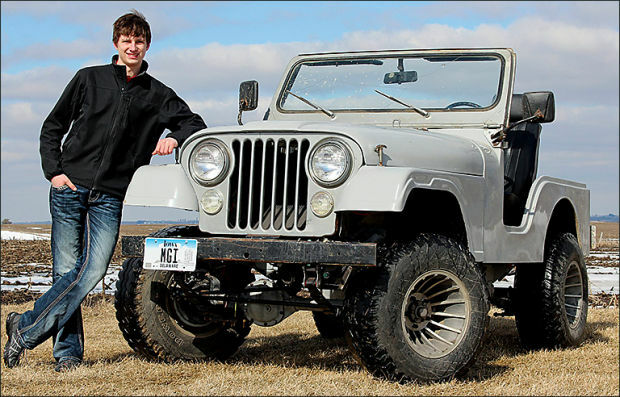 Dave spotted this article about a 19 Year Old Iowan name Matt Goode who repowered a CJ-5 with electricity for a FFA (Future Farmers of America) project. I have to say that’s a nice choice of rims (not that I’m particle or anything). 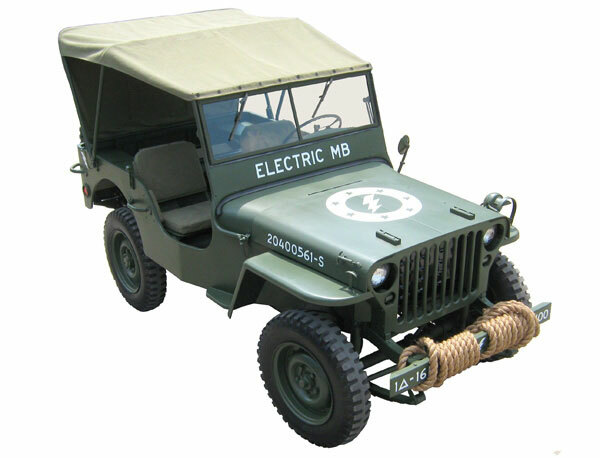 January 27, 2014 • CATEGORIES: Features, M-38A1, Unusual • TAGS: Electric-Jeep. 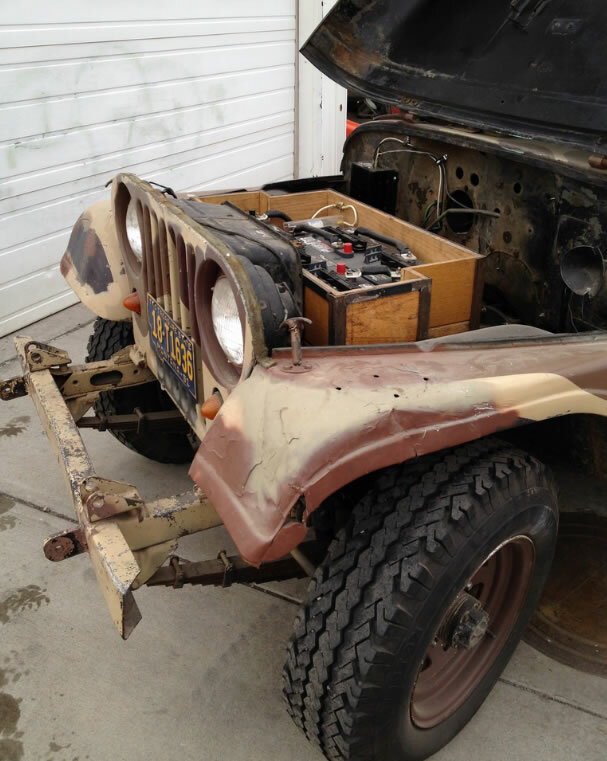 Robin discovered this cool jeep: an electric 1953 M-38A1. Robin writes, “The owner, Mike Sudik, is an electrician and president of Big Sky Solar Wind out of Missoula, MT. 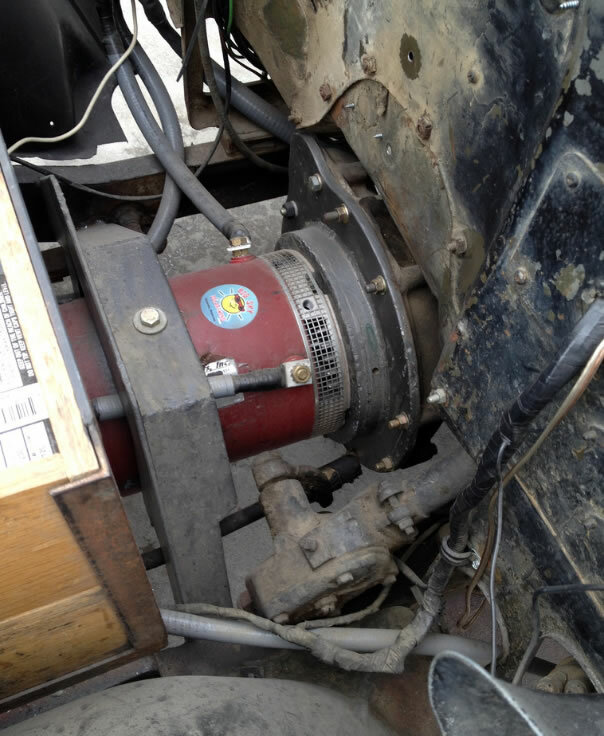 Mike removed the engine several years ago (now owned by Robin) and replaced it with a DC electric motor. The top speed has been 45 mph and goes about 60-90 miles on a charge. 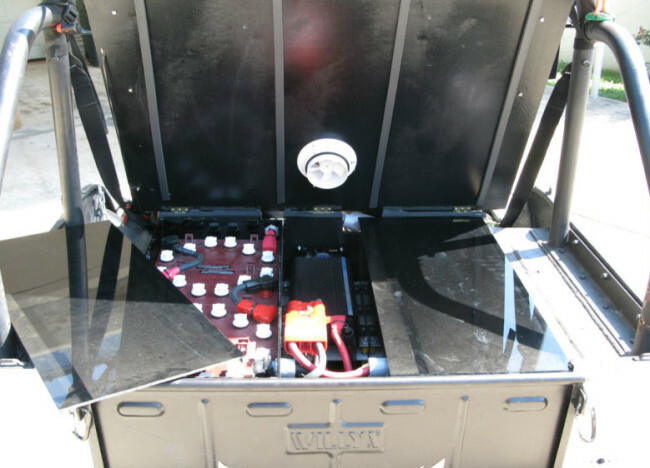 The “top” is actually a solar panel used to charge the 12V system for his PA and stereo. 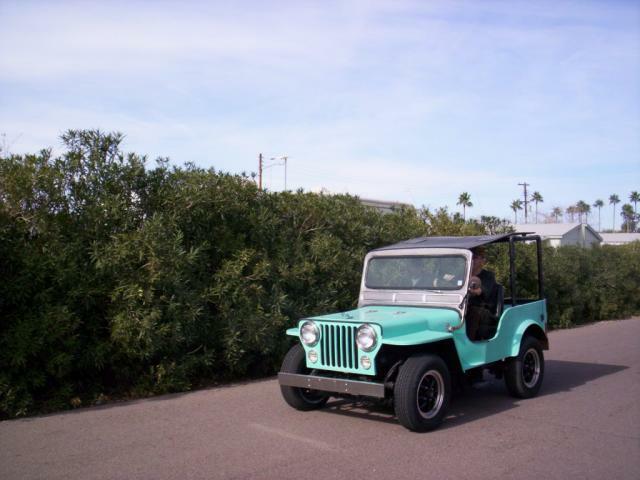 October 4, 2013 • CATEGORIES: Features • TAGS: Electric-Jeep. 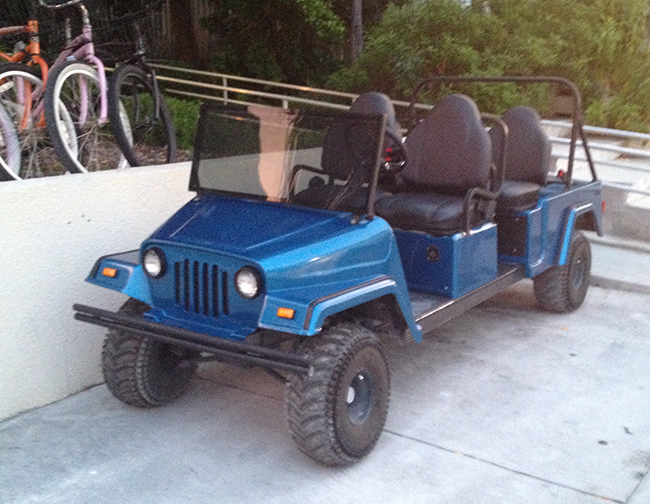 MIke spotted this electric four passenger jeep in Key West, Florida. He notes they rent for only $160/24 hours. 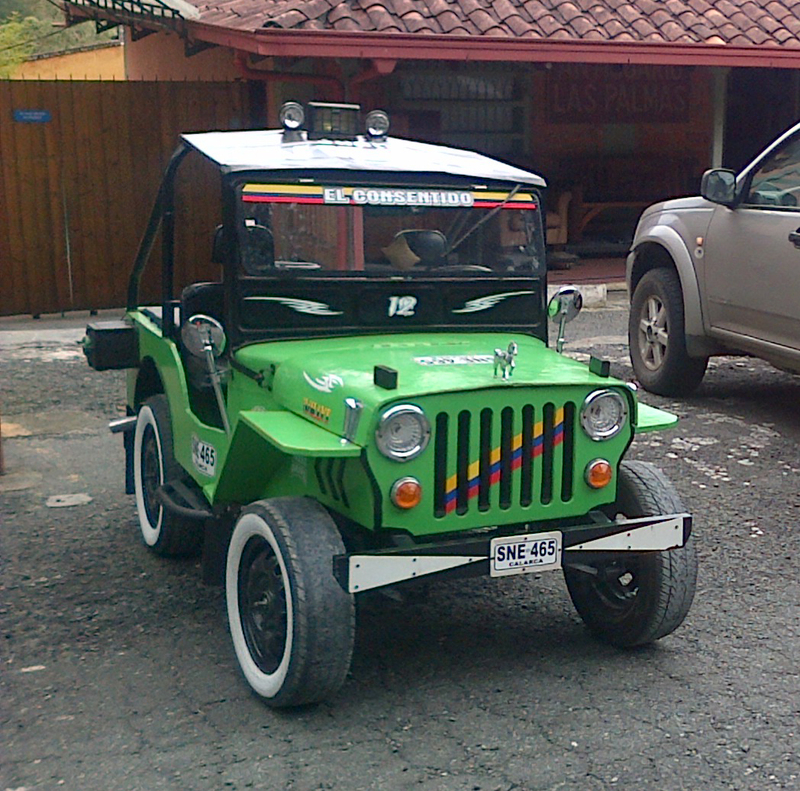 August 26, 2013 • CATEGORIES: Unusual, VEEP (VW Jeep), Scamp, Others • TAGS: Electric-Jeep. This is an unusual vehicle that is part of a business. It’s the whole business that’s for sale. The jeep itself is sort of an electric VEEP. 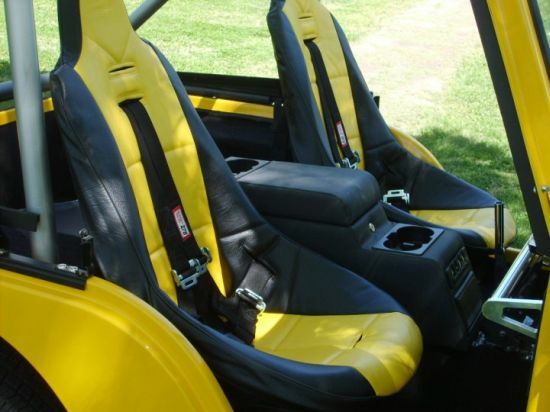 “This is truly a one of a kind vehicle and business opportunity for any EV or automobile enthusiast. 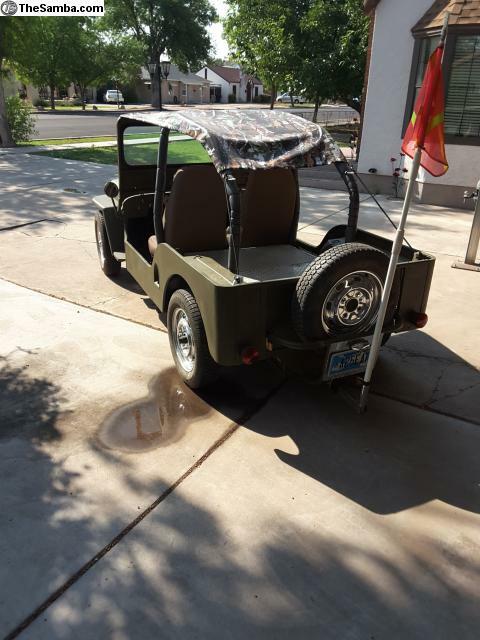 For sale is a custom built Willys electric jeep. 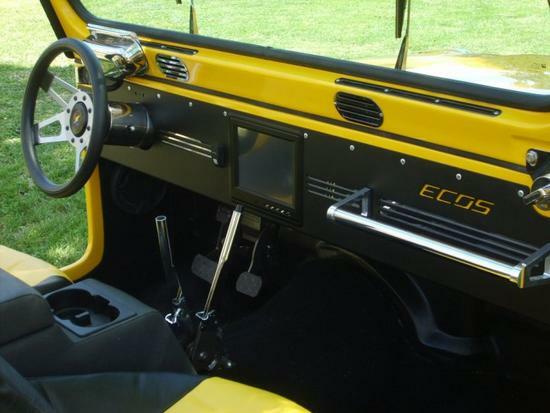 The details of this vehicle are hard to describe, but it is essentially a 1949 Willys body sitting on a custom frame, VW front end drivetrain , and custom all Electric drive! 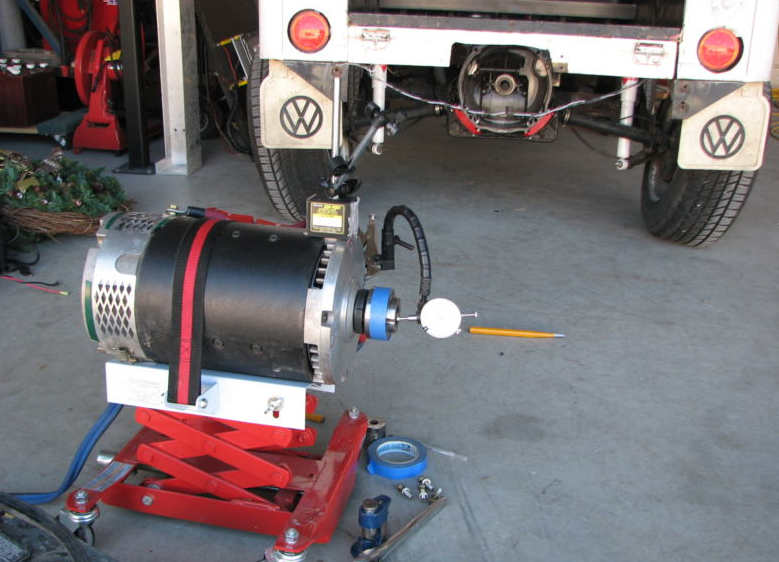 This vehicle was built as a training and demonstration vehicle for ACE Technologies. See the website www.nopgas.us for more information. 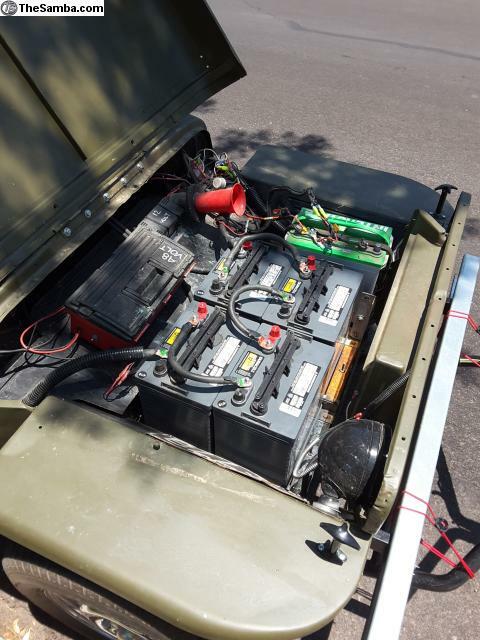 This vehicle has been used to train hundreds of EV enthusiasts and has been seen numerous times on TV and in parades. For sale is the vehicle, with all of the technical documents, schematics, etc. AND the complete rights and ownership of www.nogas.us The domain will be transferred to your name and If you like, I will continue to host it free for the remaining of the year. Also included is the “EV-101 training materials and DVD which have been sold to hundreds of enthusiasts wishing to build their own vehicle. 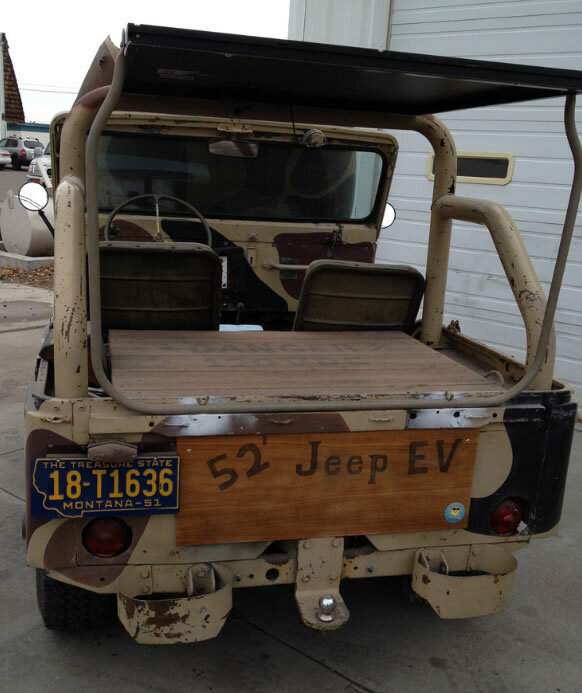 October 24, 2012 • CATEGORIES: Features, International, Unusual • TAGS: Electric-Jeep, Nice. Sebastian forwarded this to me today. This is great! 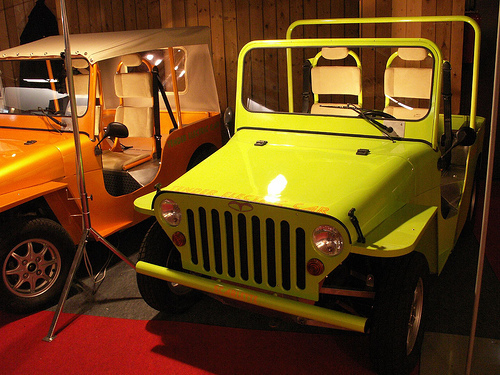 July 6, 2012 • CATEGORIES: Features, MB • TAGS: Electric-Jeep, Nice. Alex spotted an article about eMBs. The Electric MB is supposed to be made to order and cost 755.000 PhP, which is about $18,500. 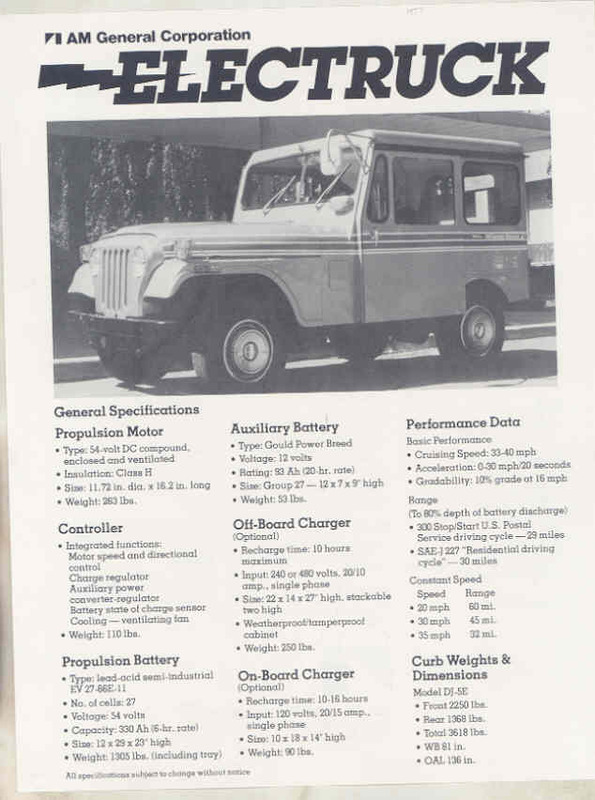 I did not see the electric jeep listed at MD Juan’s website, though I didn’t do an exhaustive search. 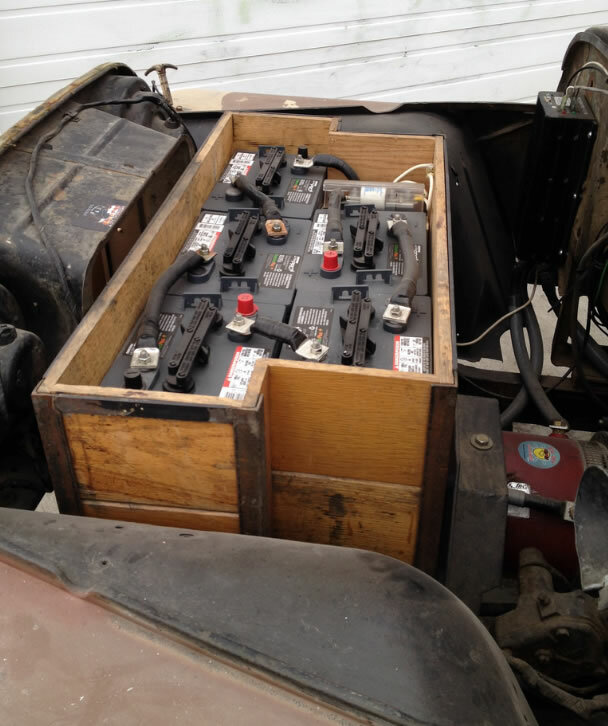 According to this excerpt from the article, “the [electric] Willy’s MB which will be powered by a 4-kilowatt, 48-volt electric motor deriving energy from eight units 6-volt batteries. 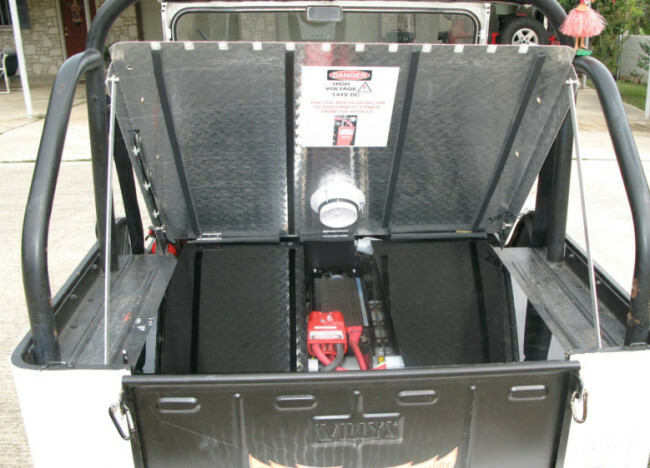 Its manufacturer – MD Juan Enterprises – calls it the eMB. Here’s the official press release from MD Juan. 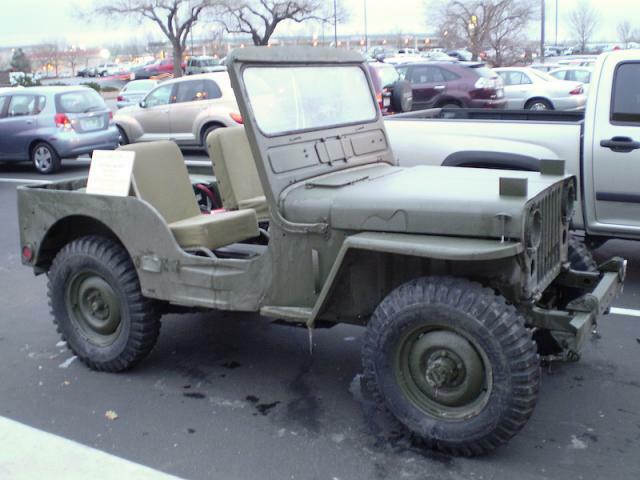 August 1, 2011 • CATEGORIES: Features, M-38 • TAGS: Electric-Jeep. UPDATE 2: Bill says Mike needs your vote. Click on this link and then click the “VOTE FOR THIS FINALIST” (You will have to fill out a short form). UPDATE: I ran this post a couple years ago. Mike is now entering an international electric vehicle contest and needs your support. Head on over to the CJ-2A page to see how your vote can support him. Thanks for the heads up on this Bill. Here’s an M-38 that’s mostly original except for the electric modifications. The owner, Mike Picard, plans on keeping it stock, but restoring it some more. The drive motor is a Netgain Warp11 Permanent Magnet DC. It’s got 18 NAPA GC8V, 8.00 Volt, Lead-Acid, Flooded Batteries. It is still in progress as of the date of this webpage. View all the information here. This picture was from December 2008. Work is ongoing. 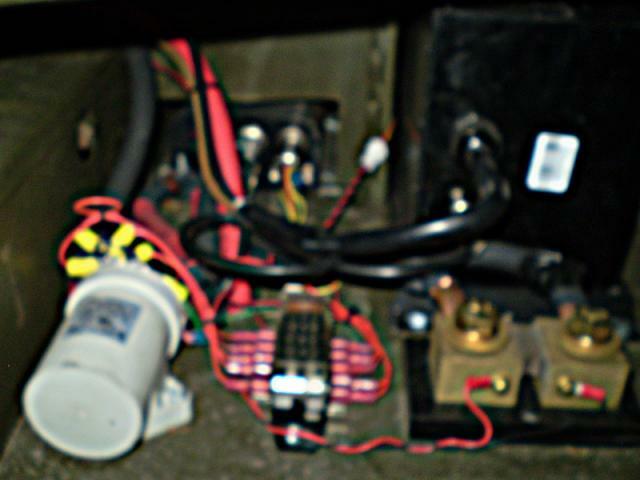 The charger, controller, fuses, etc are all here, under the driver’s seat where the gas tank used to be. This provides good access and good ventilation along with protection from the weather. 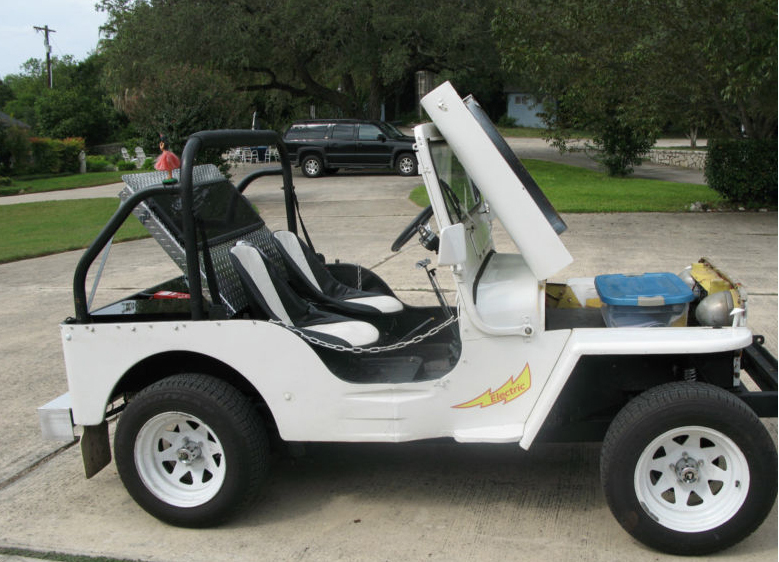 October 1, 2010 • CATEGORIES: Features • TAGS: Electric-Jeep, Nice. Here is the website for Eco Motors and the Fun. The company appears to be located in Springfield, Mo. 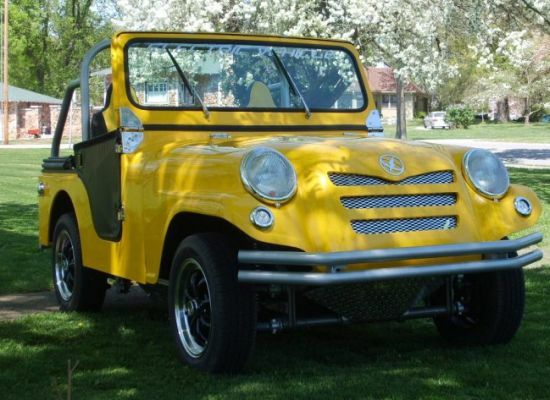 September 30, 2010 • CATEGORIES: Features • TAGS: Electric-Jeep, Nice. I ran across this post and image of what appears to be a small, electric jeep on a forum based in the philippines. After more searching, I discovered this e-vehicle is sold in France and found out more about it from autoblog.com, which has covered this in a couple articles (here and here). From the autoblog post, here is some information: “You can have it in two flavors, which depends on your driver’s license. If you are 16 and have a basic motorcycle license (called A1 in Europe) you can drive one of this cars which is homologated as a quadricycle. Performance is then quite discreet, limited to 45 km/h (slightly more than 30 mph) and it can’t be driven on highways. However, if you have a regular car license (B1), the car can run up to 80 km/h and can run on highways. 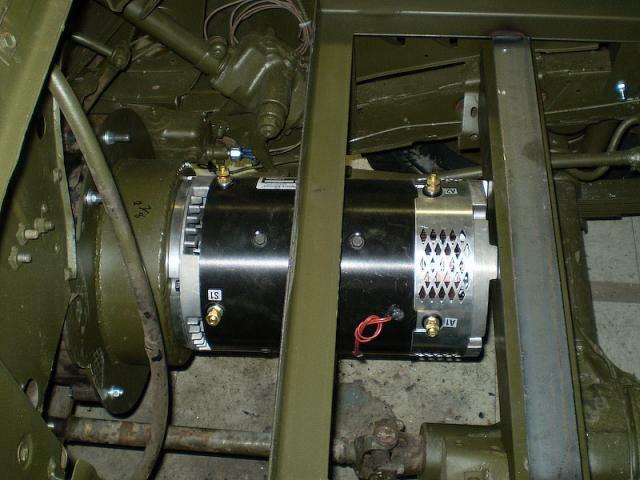 The engines can yield 4 kW, 8 kW or 12.8 kW of power depending on the configuration of the vehicle. 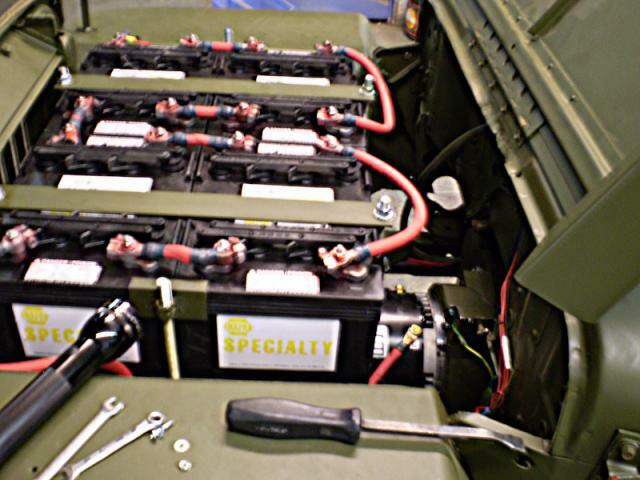 October 19, 2009 • CATEGORIES: Builds, VEEP (VW Jeep), Scamp, Others • TAGS: Electric-Jeep. I ran across this electric vehicle named Jazzy owned by Jim Stack. It appears to be an ‘VEEP’ Kit with a fiberglass body. It is powered by an Advanced DC FB-4001 Series Wound DC 9. It runs in 3rd gear and never needs to be shifted, according to the owner. The top speed is 70MPH with a total range of about 50MPH. 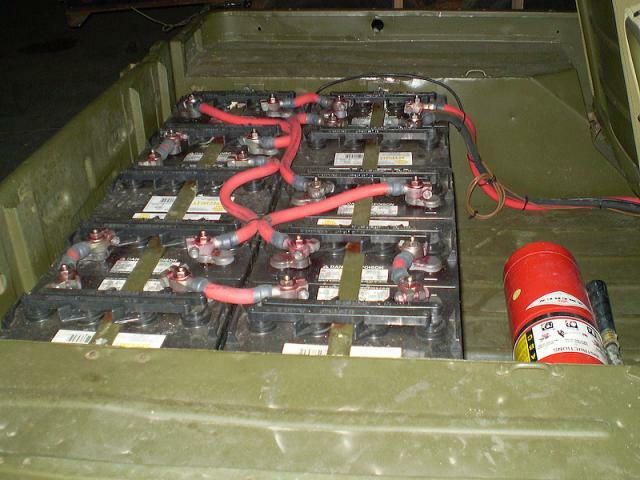 There are 10 Trojan T-105 now SG90’s, 12.00 Volt, Lead-Acid, Flooded very minimal battery pack for 30 mile range. 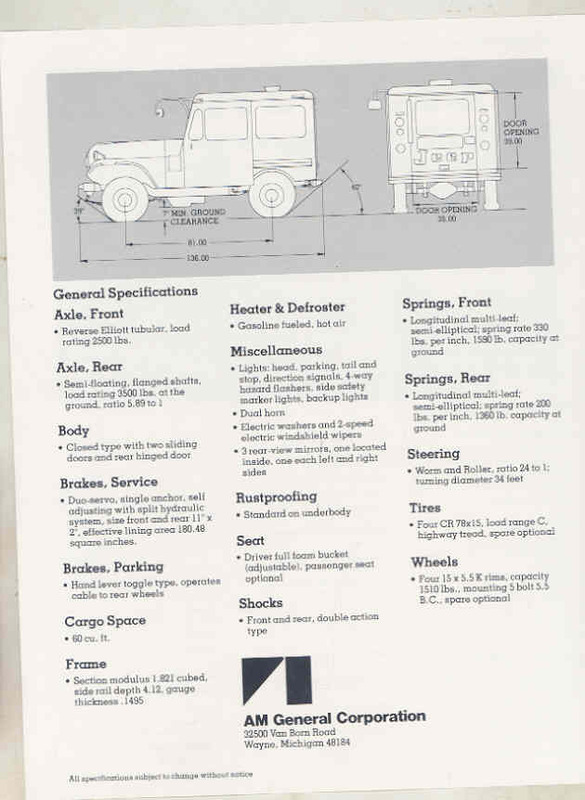 All located under center of chassis for stable road handling, great G holding on corners. View all the information here. Rear of jeep. Note no Jeep rear lights (he was looking for traditional square lights).